As a continuation of my product tests of the Danish company “By Vilain”, it’s up to the Wax Zero fixative to be tried out. My first blurb on “By villain” was posted on Instagram and can also be found here. I will start by the labelling/presentation of this product line. The simplest 2 words description would be: Modern Chic! The black jar are both elegant and modern looking. The shiny metallic text completes that suggestion. For my taste, it is very “slick”! When you have such a wide product offering, coming up with cool and distinguishable names is important. I find that By Vilain has definitely done a good job in the originality department and the products are easily identifiable. Another rather interesting piece of information about the labelling is the fact that there is a percentage of organic material mentioned as part of the ingredients. For the Wax Zero, this indicator is 54%. In this day and age where more people are trying to get away from chemicals, this is a very proper and “modern” way of informing your customer about your approach. On that path, there is also a fragrance percentage. As this is essentially an unscented product, we find a 0% indicator. By Vilain offers a number of hair fixative solutions. If you haven’t seen my little product presentation video, check it out below. As you will see, the options are “cream, wax and clay” focused. These types of products are a tremendous improvement on what styles you can achieve as well as much better these products are for your hair and scalp, as opposed to gel. Forget about that drying sensation that inevitably leads to that all too common gel related scalp itchiness. After my positive test with the Powermade, I felt pretty confident with By Vilain’s hold chart. The Wax Zero is identified as a strong hold and natural glow. Strong hold it is. 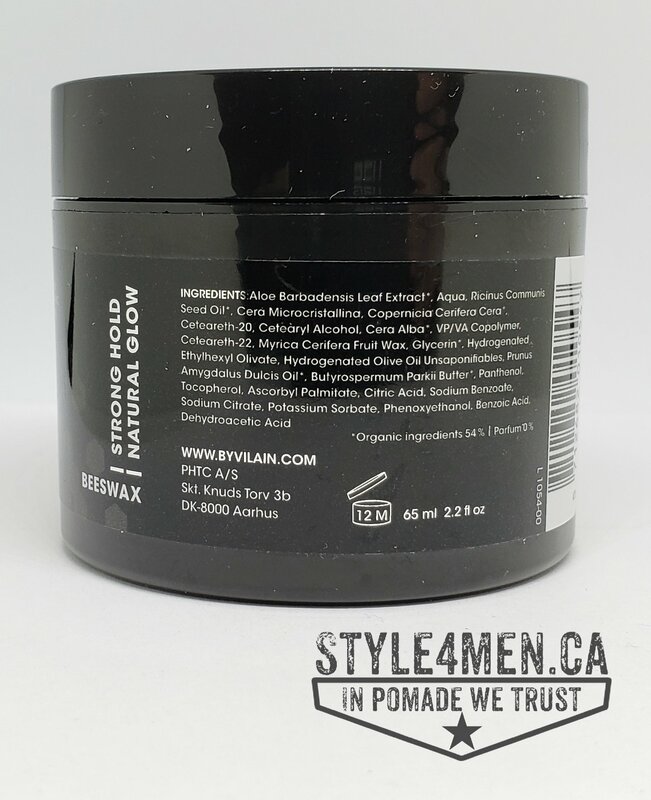 This product is labeled as being a wax, but it behaves more like a clay where it dries very quickly. Since I applied it in dry hair, I had to add some moisture with a Barber water sprayer to relax some of the product and finish my styling. 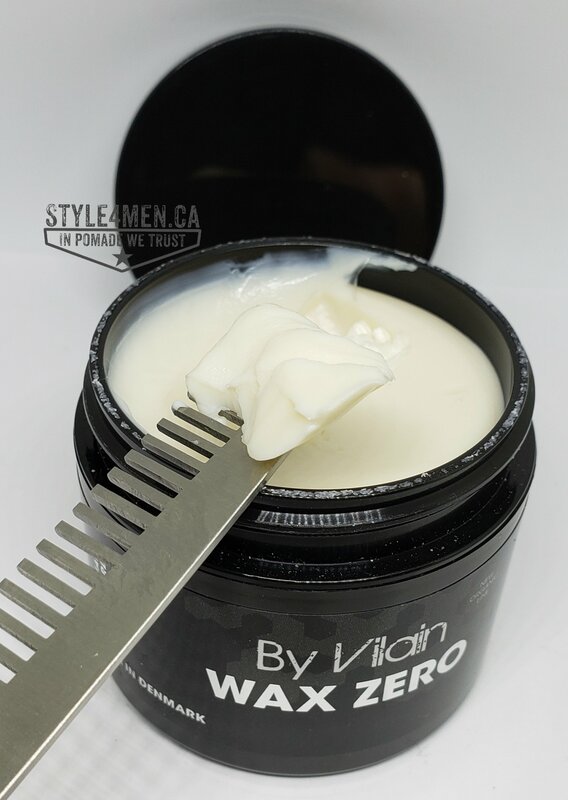 The Wax Zero, held my hair in place while offering a natural look. There was a bit of a natural and healthy lustre, thus not totally a matte option and certainly not a Greaser’s delight mega shine. I like to style my hair in the morning and then go about my business while not having to tend to hair issues during the day. The Wax Zero assisted me in these principles. A hard worker in the hair department so that I could focus on my other priorities. This is something I end up talking about in almost all my posts on water based fixative; restyling is possible! Washing your hair every day is a terrible idea since the detergents in the shampoos dry out your hair and scalp. I used to wash my hair every day and at times maybe even twice to be able to have the best styling possible. This is when I was using gel, and with gel there really is no other way. 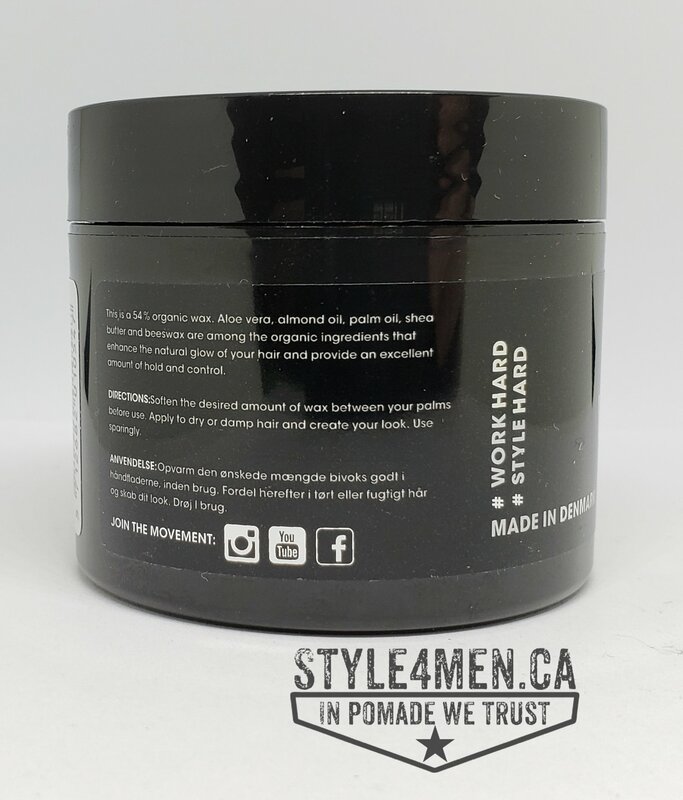 But when you are using clays, creams, waxes and pomade, you can simply spray a bit of water to relax your hair, add a bit more product, style and voilà! You look decent again and you are protecting that precious hair. 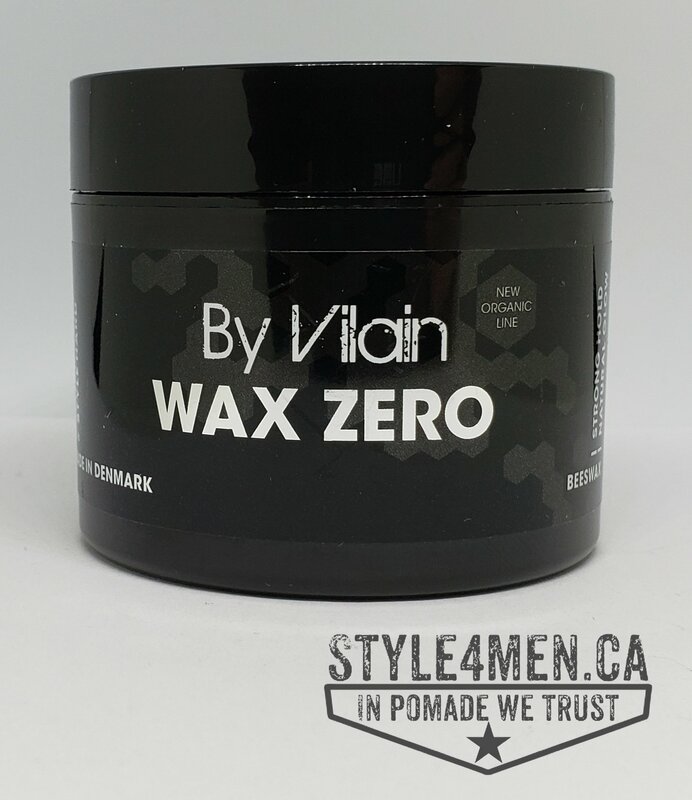 In closing, the Wax Zero name is appropriate as your hair will look perfectly style, but no one will be able to see any sign of that product.